Even techies are tired of hearing about VR revolutions that will render all other entertainment, communications, UI-UX, and research activities lame and unbearably two-dimensional. It may feel like we've been at the edge of the VR breakthrough for decades, with good reason. As a movement, VR has had trumpeters for about that long. But there are more reasons to believe now. It’s true that today’s Oculus Rift and HTC Vive aren't about to become ubiquitous household items, and currently available VR technology will not spark the PC-to-mobile level of transference when it comes to people's time and attention. But this current generation of devices are the forebears of those that will usher in the age of VR on a larger scale. This will go far beyond the dedicated first-adopters who have bought into the current generation of products and supplemented them, in some cases, with requisite PCs that can cost $2,000. Keeping track of the players who are in the VR space, entering the space or just eyeing the space takes a lot of effort. Some may be familiar with Oculus, and HTC's Vive, but not up-to-date on products now creeping into the medium or how products from existing players are evolving. So consider this an update on where the VR space is at, and where it looks like it’s going, according to the information and grist available. The VR tale is still one centered around gaming, but it's a mistake to dismiss the technology just because it is, so far, gaming-centric. For one thing, the gaming market is quite large by itself. Valve's Steam PC gaming platform offers insight on a couple of fronts. First, it shows just how large the PC gaming market is. Steam regularly has 11 million users or more online concurrently, playing games such as Dota 2, Counter-Strike: Global Offensive, and Sid Meier's Civilization VI—yes, that Civilization is still a thing. We also know from Steam that there are more than 125 million total active users of the platform, which makes the PC gaming market bigger than most realize. So even if headsets like Rift and Vive were limited to this market, there exists lots of upside. Doing simple arithmetic leads us to a number of 200,000 or so HTC Vives in the PC gaming universe. But that number is probably high, as it's unlikely that all 125 million "active" users of Steam are logged on at some point in a given month. Plus, people connected to HTC recently stated the number is 140,000. That's not a number that's going to change the world, but it does mean that consumers paid out more than $100 million just for Vives, to say nothing of Rift sales or the computers that go along with these devices. Considering the relative lack of content depth for these devices at the moment, that's fairly impressive. It doesn't take an incredible leap of faith to see that the VR market could grow to be quite significant even when confined just to the gaming world. And this seems a perfectly reasonable assumption once price hurdles and early form factor and marketplace issues—wires, expensive computers, lack of content, user comfort—get resolved. Content and programming will follow lower prices and simpler devices. In many ways, the market has already demonstrated a latent demand ready to be activated. Gamers using Vive and Oculus, of course, are those who use a PC, at least some of the time, to engage in their chosen games. There exists a much larger contingent of gamers, however, who use dedicated gaming consoles—like Sony’s PlayStation. VR has now arrived for this latter group. The price is low enough to capture consumers who may be keenly interested in a VR experience, but not willing to pay for a Rift or Vive. Sony is coming to the market with content. It made about 30 games available for the VR platform when it launched and the company has said there will be 50 by year-end. The headset sold out in pre-orders as soon as it was made available over the summer. There is some inventory available now, however. Sony’s product requires a $349 PlayStation 4 to run it, but there are already 40 to 50 million PS4 consoles out in the market, which is a far larger number than the quantity of PCs that can run a Vive or a Rift. The image quality of the Sony VR experience is a step behind that of Rift and Vive's, but it’s a similar class of device, although some reviews report that its graphics track with a touch more latency than do those for Rift and Vive. But Sony’s headset has positional tracking as well as hand-tracking controllers available, which means, on the features side, it’s very competitive. Sony noted the dearth of content available for existing VR platforms, so it created a funding program for VR content built for the PS4, which, along with the large existing PS4 user base, will make its platform the content leader for VR in the near future. By the time the 2016 holidays pass, there will likely be more Sony VR rigs on the market than the number of Rifts and Vives combined. Having successfully cleaved the mobile market with Apple, Google doesn't want to cede any ground in what some consider to be one of the next big tech platforms. Early in October Google unveiled its own phone, dubbed the Pixel, which will be the first device to ship with Google's new Daydream platform installed. The platform, which launches in November, gives developers a VR standard for which they can build apps that will run on any Android device that are so-called Daydream-ready. Right now, the Pixel, which comes in two sizes, is the only phone available with Daydream. More models from Samsung, LG, HTC, Asus and others are expected. With Daydream, Google has removed device-specific headaches for VR content developers. Daydream gives engineers an abstraction layer upon which to build and test; they can develop to one set of specs and know that it will translate, eventually, to all kinds of devices. Daydream phones pair with the Daydream View, a headset Google unveiled with the Pixel, that sells for $79 and will also became available in November. The headset includes a single controller, and is made from fabric and foam. It weighs 220g, making it 30% lighter than the Gear VR, a similar device borne out of a partnership of Samsung and Oculus, which is 318g. The NFC chip in Daydream-ready phones automatically senses being strapped into the Google headset and shifts right into VR mode. If Gear VR's popularity is any indication—there are more than 1 million people who use the device every day—the adoption for the Daydream headset and platform should be swift. This approach keeps to the low-end path of least resistance, a method that's proven successful in the past for Google. But the search engine giant may not be leaving the high end to Oculus and HTC. It's reportedly building an eye-tracking VR headset that will knit-in features of augmented reality along with an immersive VR experience. This puts Google in a race with Microsoft, which continues work on advancing its AR-centric HoloLens headset, and Magic Leap, in which Google is a major investor. This headset will reportedly operate independently from phones, perhaps even independently of a computer, which would mean a starting price that's likely closer to those of the Vive and Rift. If Google successfully builds out a catalog of content through its Daydream platform, it may well have an advantage at all levels of VR, from entry-level through the high-end. Oculus: The future of Facebook? Mark Zuckerberg has been smitten with the prospects of VR for years. But Zuckerberg doesn't look to VR as merely the next level of gaming or indie movie watching. Zuckerberg, and many others, believe that VR's biggest impact is in allowing people to interact with each other with more meaning and intimacy compared with phone or video calls. This is why Facebook bought Oculus, and it's why Zuckerberg remains hands-on with the project; he believes it may be the future of Facebook. Zuckerberg ran through a demo displaying some of these possibilities at Oculus Connect in early October in which he and two other people shared a conversation in different virtual locales: the bottom of the ocean; on Mars; and finally back in the Facebook offices. The participants could see each other's facial expressions, hand gestures, and could even exchange things like playing cards, and play chess on a virtual board. Zuckerberg also traveled to his house through VR to check on his dog, using a home webcam to supply the live imagery at his house. The crowd present for his keynote was impressed when Zuckerberg took a selfie photo that included his own VR avatar, and the framed image of his wife, Priscilla Chan, with whom he was talking to through a video call. The backdrop of the photo was the couple's living room, where their dog patiently sat, unaware that his owners were virtually inhabiting the same space. The demo was impressive, but the technology needs to make yet another leap forward in terms of graphical capabilities and ease-of-use, in addition to a massive drop in price. But that’s all possible, and it’s something that Zuckerberg is counting on. Facebook clearly is committed to a long-term vision with VR. It seems unlikely that the company would abandon VR even in the middle of the Trough of Sorrow, if that is yet to come for the technology. To that end, Zuckerberg also offered a look at a prototype VR rig called Oculus Santa Cruz, which has no wires snaking out to a computer, and requires no external sensors for positional tracking. Everything exists inside the headset, from the battery, the CPU, the graphics rendering engine, and the spatial sensors, something Facebook calls inside-out tracking. The company said that full-blown products based on Santa Cruz are still years away. But it is that kind of form factor that can change the technology and its accessibility. For the near-term, Oculus introduced something called "asynchronous spacewarp," which may sound like a weapon created for the X-Men, but it's actually a process used by Oculus that drops frames from the visual feed to its headsets, virtually undetectable to humans, to lower the rendering burden on connected PCs. That means instead of a $2,000 beast including an advanced video card, Rift users can use a $500 PC, which puts it on more equal footing with Sony's product, at least price-wise. In December, the company will release Oculus Touch, $199 controllers which will pair with the Rift headset, narrowing the competitive edge that the HTC Vive now possesses. Zuckerberg also mentioned that Facebook and Oculus have already spent $250 million on developing VR content, and plan to spend that amount again in the next several years. The Vive has been, to this point, the most advanced product on the market. And through a partnership with Valve and Steam, it has captured more of the PC gaming market than any other VR headset. But the nagging criticism for the Vive has been its lack of content, compared with the Rift and now also Sony, which has employed experienced gaming studios to push out more than 50 VR titles in time for the coming holidays. HTC has recently indicated, however, that it's hard at work to try and close the content gap. Its VP of content said in October 2016 that something on the content front could be announced within the next several months. This would be an important step for HTC, as it has enjoyed a technological advantage, especially amongst gamers who use its hand controllers, but that advantage will disappear beginning in December when Oculus releases Touch. After fixing its content deficit, HTC seems to be focused on a wireless solution. 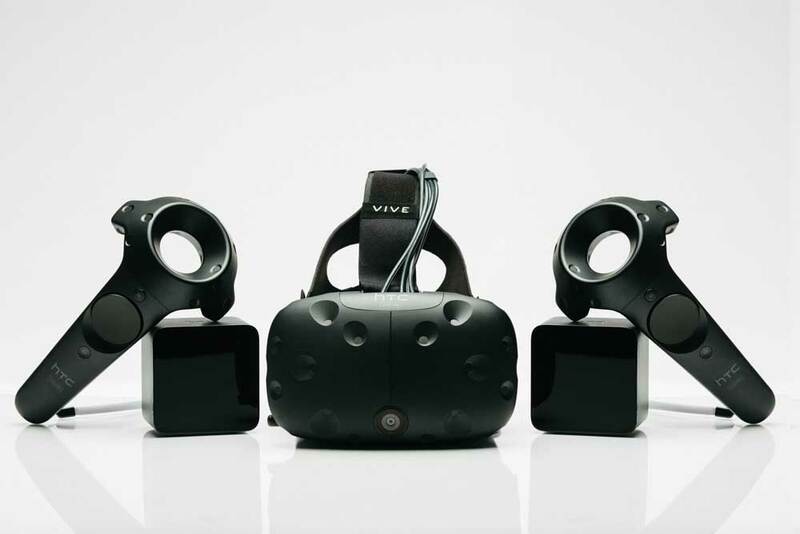 Quark VR, which produces an SDK for VR gaming, has been working with HTC on a wireless prototype. Indications are that the processor and graphics card will not be contained within the headset, but the headset will communicate with a PC via a wireless transmitter that the wearer can stick a pocket or clip to a belt. The hurdle with this approach, and the reason it has not yet been leveraged by anybody else, are the problems wireless transmission can create around latency compared with a tethered connection. If the transmission of graphics and data take longer than 20 milliseconds, the lag in the experience becomes noticeable to humans and can nauseate some users. One of the breakthroughs with the current generation of advanced VR headsets has been to push latency below this threshold while also maintaining a high level of graphical quality. Combining low latency with no wires is one of the holy grails of VR, and a key to expanding its footprint and penetration within the ranks of non-first adopters. Steve Jobs had an uncanny knack for predicting and creating the next big technology platform. Tim Cook is often criticized for lacking this kind of vision. Whether or not it is a fair critique, Cook is surely aware of it, and he and Apple are determined to not miss the next transcendent technology shift. This is why Apple has been taking the development of self-driving car software seriously. But the company also is working within the VR sphere. Apple was awarded a patent in late August 2016 for a "Head-Mounted Display Apparatus For Retaining A Portable Electronic Device With Display." This certainly doesn't mean that Apple will develop this product. Big companies churn out inconsequential patents all the time. But Apple has hired ex-employees of both Oculus and Magic Leap, and Tim Cook has continually flicked at Apple's interest in the space, which, if we're to believe the CEO, involves some kind of meshing of VR and AR. Facebook clearly believes that VR may be the future of its product; for that reason alone, Apple will keep at least one foot, if not two, in the space. It has a huge advantage in owning a giant mobile ecosystem unto itself, and it still has the guaranteed loyalty of millions of consumers who are willing to pay a premium for anything that is branded Apple. The question is whether Apple will see VR/AR as a way to buttress and extend its mobile dominance, or as an independent and large technology platform. Either way, the company will likely wade in at some point, but its trademark secrecy and inscrutable methods make it hard to know when. After all, Apple waited years after the first mobile MP3 players to release the iPod, and years after the first mobile phones to release its first smartphone. 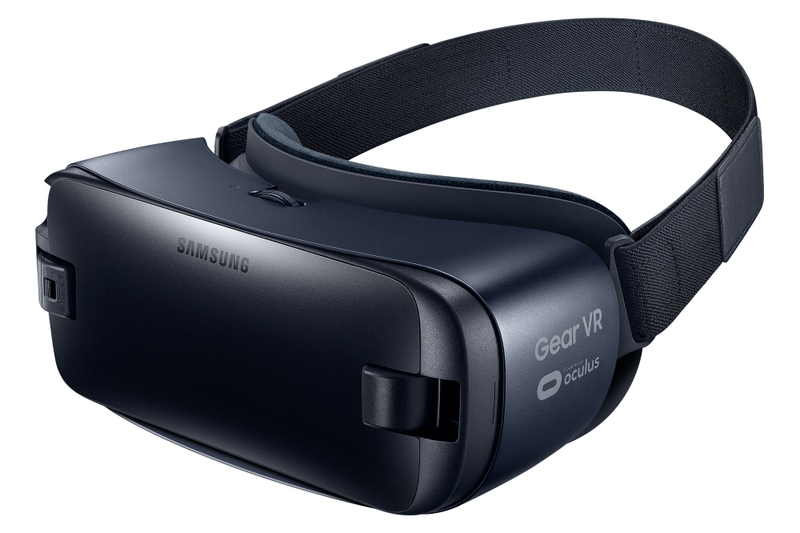 In 2014, Samsung pushed out the first versions of its Gear VR, a headset that pairs with some Samsung phones for an affordable VR experience. The headset’s mainstream version has sold well, but it’s not known for sure outside of Samsung and Facebook’s Oculus, who is a partner in the Gear VR project, how many of the product exist. Samsung did say earlier this year that 300,000 Gear VR were sold in Europe, and it mentioned in April that more than 1 million people had accessed content on the device that month. It’s a conservative projection to say that more than 1 million Gear VR have been sold and that it’s the best-selling VR headset not made out of cardboard. Samsung has lost momentum company-wide with its battery troubles, but it continues to push its vision of VR, which pairs its popular mobile phones with headsets and other accessories to give users a ready platform for VR consumption and also production. The production part of the equation comes from Samsung’s Gear 360, a camera that captures spherical video that is best viewed through a VR headset, which gives viewers the chance to survey an entire environment as if there. The Gear 360, for its quality, comes in at reasonable price of $350. But it’s still not cheap, and it requires users lug it around in addition to owning a narrow set of compatible phones, so it’s unlikely to be a mass market hit. But it opens the door to more user-generated content that can be consumed through curated VR portals, which is an important step in making VR more than just the province of gear nerds and first adopters. Samsung’s camera comes along with the advent of easily accessible and well-produced 360-content available at outlets such as JauntVR and Within. Even The New York Times has started cranking out 360 content on a daily basis. An updated version of the Gear VR, with less light leakage, sells for $99. It launched with the Galaxy Note 7, whose incendiary troubles have overshadowed the VR headset, which has largely drawn excellent reviews. Samsung is dedicated to staking out the lower end of the market and getting as many of its VR devices—as well as its phones—into the market as possible. Samsung’s partnership with Oculus could end up paying dividends if and when Facebook makes VR integration a major part of its application, as it figures that Oculus-enabled devices would be first in the door. Excitement still abounds around VR as a platform and technology. We have seen blips of enthusiasm and even consumer adoption in the past, as far back as the 1990s when Nintendo and others were putting together products they felt would be the leading edge. Yet the forces behind this current movement are larger, and there seems to be more permanence. That's not to say that there won't be a lull, something akin to the aforementioned Trough of Sorrow. Even if VR is initially limited to gaming and 360 video experiences, the market will prove to be larger than many suspected. Companies such as Facebook see this as much more, of course. And nobody has yet emerged as a leader in enterprise applications for VR, from conference calls to sales and product demonstrations. If the current product velocities continue in the space, we may see wireless headsets with advanced graphics, hand controllers and vast catalogues of content within three years. It's at this point when VR goes from a novelty used by first adopters and gaming enthusiasts to a device that begins to stake out territory in mainstream consumer homes.